I’m a firm believer that exercise is a key to happiness and longevity of your life. I have been a heavy gym goer most of my life, having been in the military so fitness has always been close to my heart. I have experience in anything from weightlifting, endurance, yoga, proper nutrition and quite a few sports. So this week we’ll be answering the big question… ‘How to stay fit while travelling in a van’! DISCLAIMER – I’m NOT qualified, so anything I share in this post is from personal experience and these ways are ONLY A GUIDELINE for those who wish to follow at their own risk. These tips have worked for me they may/may not, work for you! Working out every day means I can be consistent with my fitness and health in a way that it becomes a solid mindset and simply a life-long habit. This mindset has been the reason I have maintained a good level of fitness and health, hardly ever getting sick. I haven’t been ill for over 3 years! Don’t get me wrong it can be hard at times but the truth is, you just need to force yourself to MOVE! Stretching/foam rolling and yoga moves have become the norm for me now and I am really glad they have… living in a small van and being well over 6ft tall can be challenging on your body. Constantly hunching over and unable to stand up in our van has been harder than we first thought… We are actually now in a position to purchase a bigger van (one I can stand up in) which just wasn’t an affordable option for us before. Doing these activities have made a massive difference to me and have made living in a small van; as a tall person, a lot more bearable! So if you want to follow what I do to get fit and stay that way, always keep your body moving, EVEN on your days off.. stretches, mobility/yoga are essential to rest and overall well-being. Also, continue reading this post to find out what other stuff I do and what equipment/ resources I use! Many fitness gurus will try to sell you fitness programs stating ’NO EQUIPMENT’ this, in my opinion, has always been misleading because they usually mean “using normal everyday items as gym equipment instead” So this is what I’m going to tell you haha! 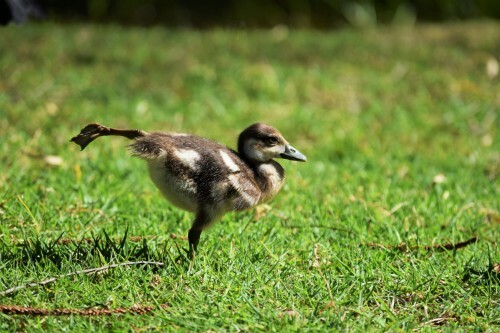 For weights, I use my own body weight…for example, I do pull-ups on strong tree branches or anything that can safely hold my weight. If you know what you’re doing you can always challenge yourself and progress by just using your own body weight and finding some form of pull up bar. Callisthenics are pure magic for travellers who are into fitness. Youtube channels recommended for learning this are AthleneX and Calisthenicmovement. Many places in the world have FREE public gym equipment at either parks or the beach. TIP – Go at sunrise if the parks get too busy and this puts you off… all the posers are never there that early! Signing up to a gym isn’t that expensive when you shop around. It can also solve all your problems when it comes to finding showers! It’s defiantly an advantage if you sign up to a company that has gyms all over the country because then you don’t have the rigmarole in signing up every time! 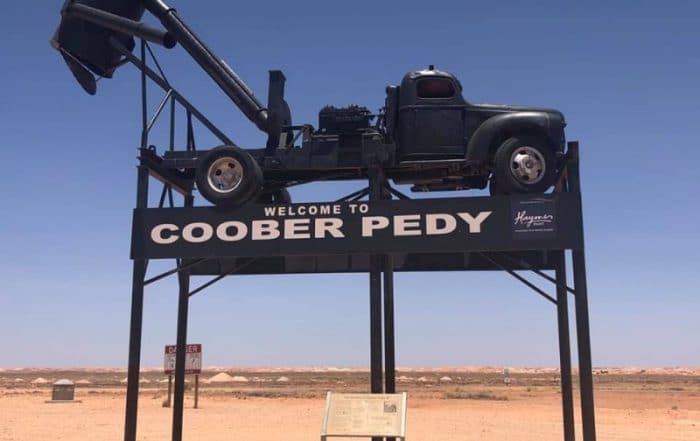 If you think about how much fuel you burn driving around the cities just to find free showers, it can actually be more cost effective to just pay $30 a month for a gym membership and shower there. Not to mention they are A LOT cleaner! Anyway, the point of signing up to a gym is pretty obvious when it comes to getting and staying fit… It gives you a place you can work out properly and seek help if needed but more so, it also makes it easier to get cleaned up afterwards (which isn’t always easy in a van!) We are signed up to VirginActive and although it’s one of the pricer ones, its defiantly worth it for us. 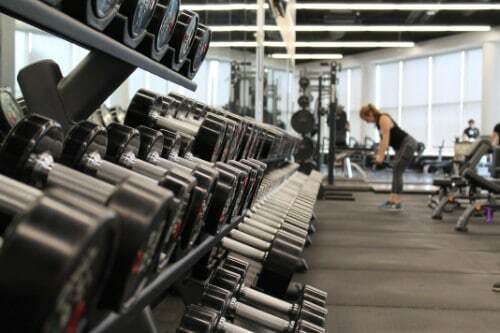 Being big gym goers, it has by far the best quality gyms with the cleanest facilitates (in our experience) and most even have a swimming pool (saves us loads on swimming fees!) Oh and free WIFI! – a Van-Lifer’s heaven! Curious to know how other Van-Lifers stay fit on the road? 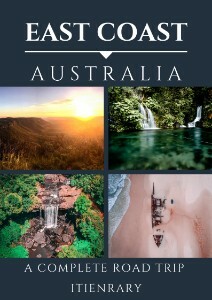 Check out The Van-Lifer Directory to get more inspiration! Like I said in the last point we are pretty into swimming. There are places to swim everywhere in most countries of the world whether indoor/outdoor man Made/natural! And depending on the area, if you’re stuck there’s the ocean! Swimming is underrated by lots of people, mainly those that can’t do it! So if you can’t swim I’d strongly encourage you to take up lessons because being able to swim could defiantly save your life one day! 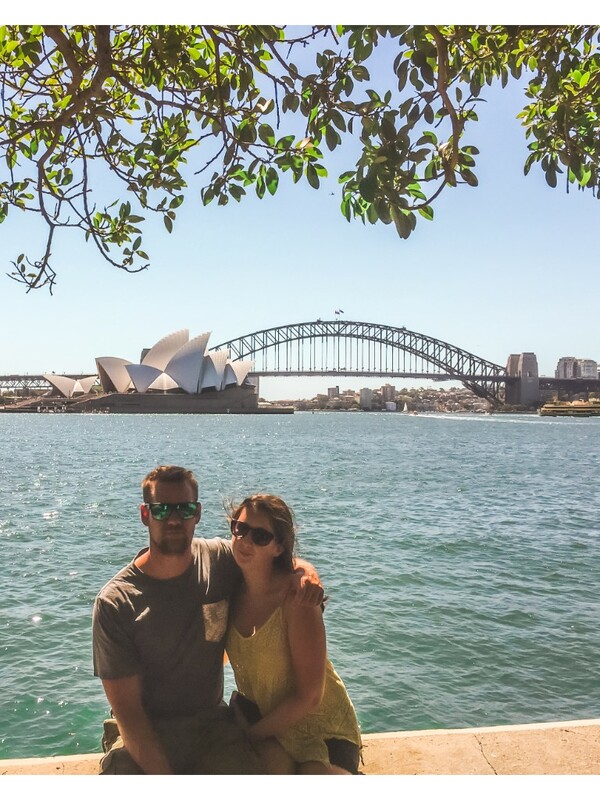 Leah once was scared of deep water full stop… now she will snorkel in the ocean! 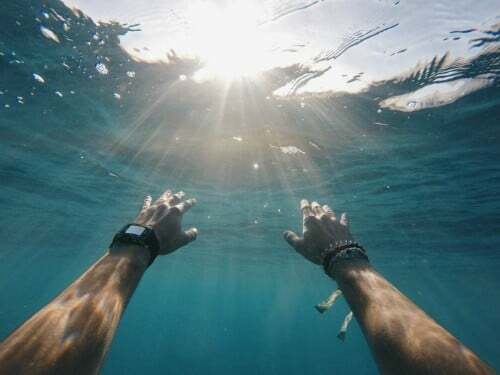 Travellers love to venture areas with a lot of water i.e rivers, waterfall lagoons … so you REALLY need to know how to swim! Once you know the basics its then down to you to work on technique and become a stronger swimmer, and you can always get stronger! It’s perfect for keeping toned and building stamina without all the nasty impact on your joints! You can work on some decent cardio by doing hypoxia training (seek professional advice first) or you can even use pool weights for muscular endurance. There are endless amounts of exercises you can perform in water. The main advantages of swimming for a Van-Lifer are probably the low costs and high availability of areas to do it! Also not needing anything other than your swimwear. To be honest, I see van-lifers in local swimming baths/leisure centres going for a cheap shower all the time so why not pay like an extra dollar for a swim?! Meditation can be a controversial topic for some, being quite mysterious to many. However, from experience, it has proved invaluable to me! some of you may be thinking what has this got to do with fitness? Well, in my opinion, fitness is both in body and in mind. Anyone serious about fitness will tell you that meditation and having a healthy mind is so important. The reasons being is that no matter what level of meditation you practice, you learn to train your body how to breathe correctly. Breathing correctly will give benefits such as better posture and generally better body functioning as well as a healthier mind. 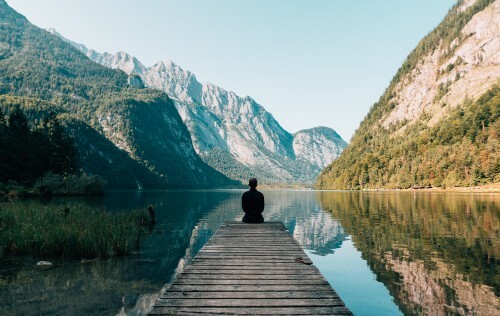 As a van-lifer meditation is easy to practice as long as you park somewhere quiet (which can be a challenge) but the easy bit is that you always have a comfortable/ private space! I always use decent headphones if it’s a bit too noisy… eventually, when you get better at it you’ll be able to block out most background noise. I want to make it clear that I’m not an overly spiritual person but I certainly have an open mind and meditation DOES WORK for me. 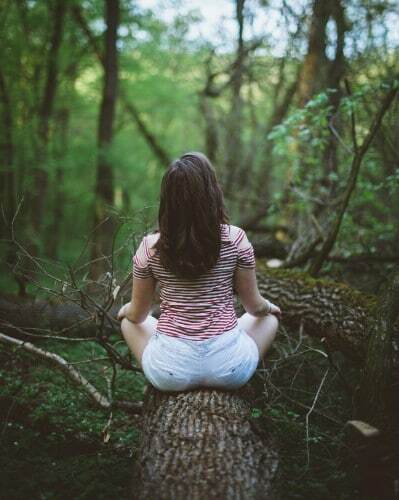 I began to meditate as a way to gain better posture (after it suffering from my military injuries) Again, like most things you have to be dedicated and consistent, nearly 3 years later and I feel like it has helped me no end! I personally feel that it is a way of unlocking mind power that you have anyway but maybe can’t access easily at times. 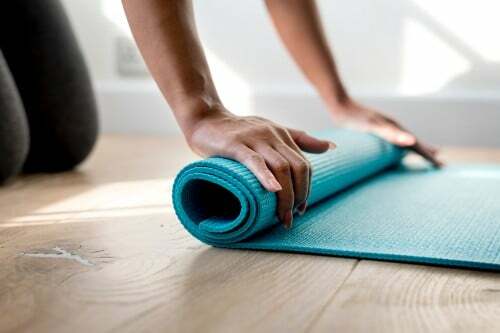 At the end of the day, you have to BELIEVE you are going to get fit in order to achieve it and adding meditation to your training routine is such an easy and FREE way if you’re living on the move! If you disagree with me that’s cool… but I bet you wouldn’t disagree openly to a big meditator like Mike Tyson haha! 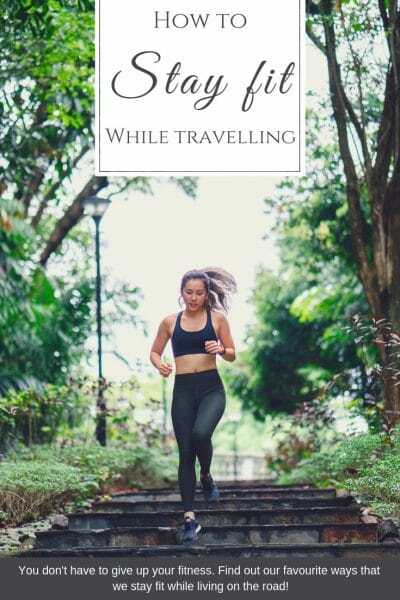 I hope this gives you a good idea on how to stay fit while travelling, you may be wondering why I haven’t included any points on ‘Nutrition’ this was intentional as I plan to touch on this extremely important topic in another post. Nutrition is a complex subject to which I can only really speak from personal trial and error experiences. There are obviously industry standards to what is considered “healthy” and not being a qualified nutritionist kinda excludes me from giving valid advice… that being said, future posts such as “how to eat healthier in a van” will go into what I consider to be ‘common sense’ when it comes to the way/what people eat when living on the road. 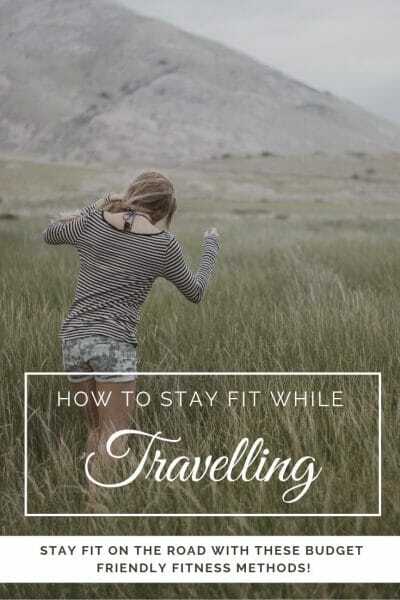 How do you stay fit while travelling? We’d love to hear if you have any different methods! As always, you can chat with us over on Facebook, or become a Patreon to gain access to even more Van-Life stories! This is amazing! I always try to find ways to take out time for the gym while we’re traveling but it can be hard with our very hectic schedule. 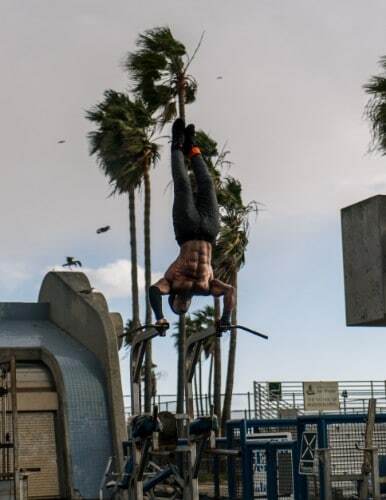 With your tips here, one can workout anywhere! 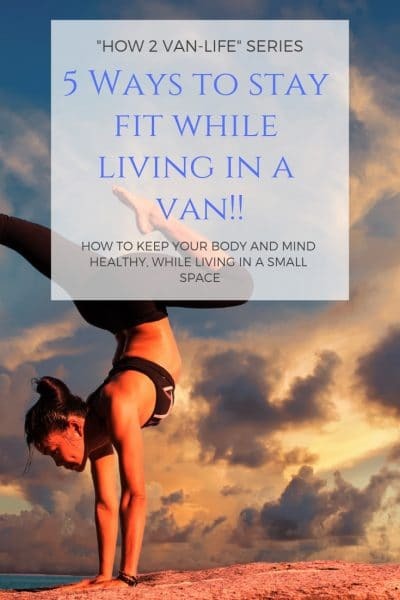 Staying fit while travelling and especially so if you are doing it in a van is so important. One needs to continue at the least a minimum of your regular fitness regime. Getting a countrywide Gym membership is a sensible idea. Also, meditation and a bit of Yoga would also greatly help in overall health and fitness. Great advice here about staying fit in van life. It’s so good that you do an hour walk in the morning, I love walking but rarely walk for the exercise alone, I must make more of an effort! wonderful tips on being healthy while moving around. Yes you don’t need to go to gym everyday to stay fit, you can stay fit by doing mild exercises or yoga daily. I enjoy reading this topic as it is an exciting topic for us who never tried it. It’s good to know the tricks you made, and I honestly agreed with you if I’ll be in the same position gym membership is good to go. What an inspiration to others. 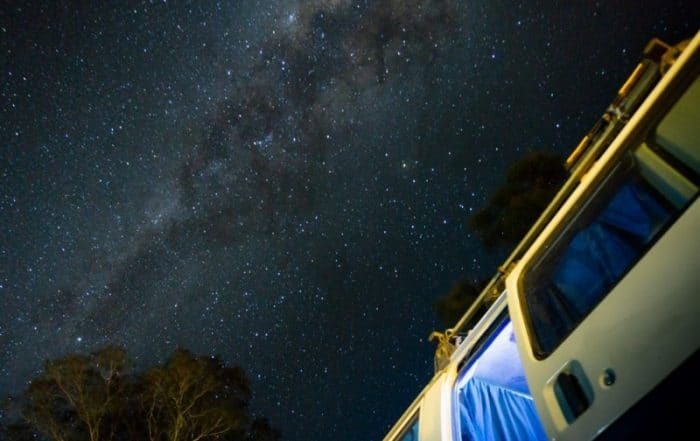 Great tips guys, van living can be hard work and keeping fit can sometimes seem like a chore when you’re travelling. But if you look for creative ways like using free gym equipment or swimming then it can be easy and fun. Swimming is always the best way especially if its somewhere outdoors!! I completely agree with you about the heat, I’ve seen runners/cyclists in Aus and just think WOW, that’s dedication! I think that’s why we took to swimming/yoga instead, they’re great hot weather alternatives. Running in Morrocco must have been a great experience though! These are all great tips, even for when you are at home. When traveling I walk around town and go on hikes, always such a great way to experience a town and get some exercise! 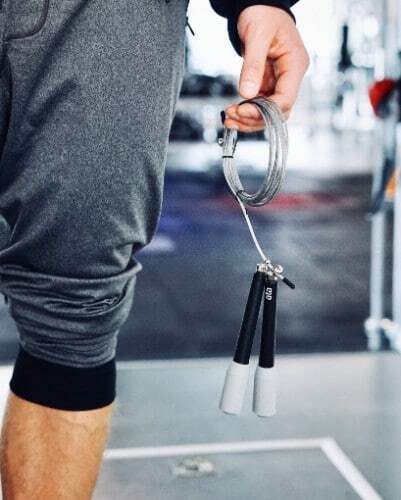 I love the idea of the jump rope – that takes up barely any space! Staying fit while traveling is so hard. These are great tips. I always considered water filled weights to be a good option but I haven’t finished researching the topic. Jenn is a yoga instructor so she has led us in sun salutations at many beautiful places like the New River Gorge or the base of Havasu Falls. 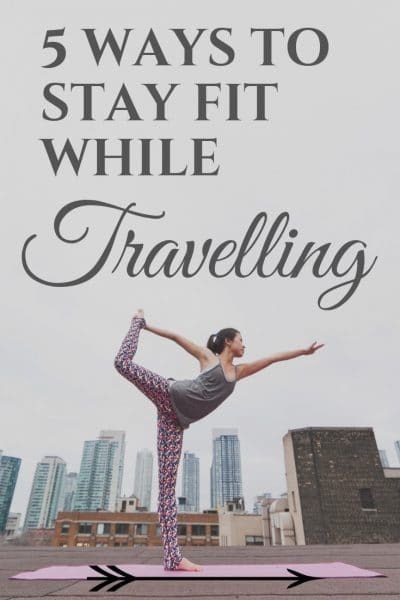 Traveling should be a lifestyle of health afterall. That’s great that you travel with an instructor! I’m still learning and try to attend local classes where I can. Water weights sound like a good addition, especially if you can recycle the water from them for something after each use!